Dec 21, 2016 | eNews Etc. Lama Tsongkhapa (1357-1419) was one of Tibetan Buddhism’s greatest scholars and yogis. His brilliant illumination of Buddha’s teachings shines through to this day in his Lamrim Chenmo—The Great Treatise on the Stages of the Path to Enlightenment—and other profound texts. His spiritual heirs include His Holiness the Dalai Lama. To celebrate, you can read or listen to Ven. Chodron’s talk on Tsongkhapa’s great kindness and her personal experiences of visiting his meditation cave in Tibet. Then do some of the practices suggested below. 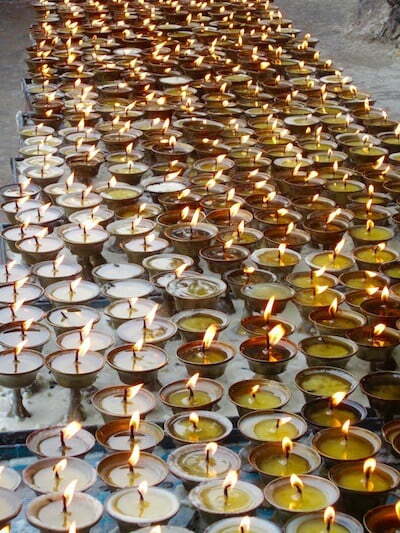 Traditionally, Lama Tsongkhapa Day is celebrated with many light offerings. May the light of Lama Tsongkhapa’s teachings, dispelling the darkness of ignorance, always increase! Take and keep the Eight Mahayana Precepts for 24 hours. Make many light offerings on your altar, using candles, Christmas lights—whatever you have. Watch Ven. Chodron’s series of short teachings on The Essence of a Human Life: Words of Advice for Lay Practitioners, by Lama Tsongkhapa. Study, meditate, and listen to other Tsongkhapa teachings. His short texts include The Three Principal Aspects of the Path and The Foundation of All Good Qualities. Do the Lama Tsongkhapa Guru Yoga practice, which you’ll find online here or in the Pearl of Wisdom II prayer book. 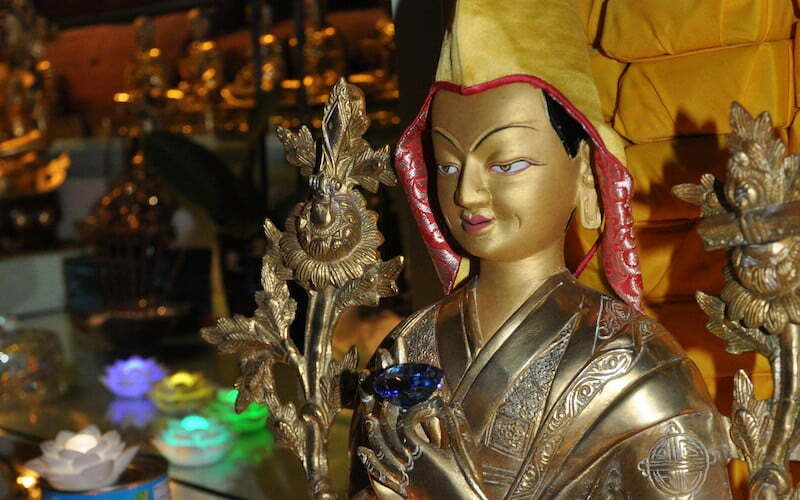 Make offerings to your teacher or Dharma center for the continuation of Lama Tsongkhapa’s teachings. To include the Abbey in your offerings, click here. We need a tremendous amount of merit to meet with Tsongkhapa’s teachings. Rejoice in your fortune, take advantage of your precious opportunity, and dedicate for your own awakening and for all sentient beings.